Venue on the campus of the University of Toronto campus. For years it was the hub of anglo-Canadian theatrical activity and creation. Built in 1919 and donated to the U of T in 1945, Hart House Theatre was not part of the Massey Foundation’s original gift of Hart House to the university and operated as a separate entity. The Players Club, a resident company, was founded by Roy Mitchell in 1919 and according to later participant Mavor Moore was meant to be “a crucible for new theatre.” It also proved to be a magnificent vehicle for emerging young actors. From the second season of Mitchell’s company, there was always a Canadian play on the schedule. The nature of the action at Hart House Theatre exploded after WWII when it became more distinctly a proving ground for actors on their way to professional careers (and its productions were often reviewed as such). Actors who passed through the theatre include: Charmion King, William Hutt, Kate Reid, Donald Harron, and Donald Sutherland among many others. In 1966, the house became the stage for activities by the University’s Graduate centre for the Study of Drama. In 1974, it saw the long overdue premiere of Merrill Denison’s Marsh Hay (directed by Richard Plant), a work written over 50 years earlier. From 1986, the Theatre was used primarily as a rental facility by groups external to the university and had relatively limited contact with student productions on campus. In December, 2000, Hart House decided to integrate the venue into its cultural program. 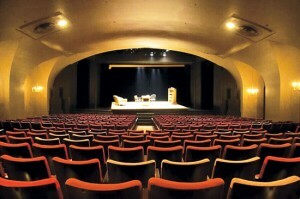 The Theatre is currently a focal point for the performing arts in the university community. Students, alumni, faculty, staff and friends of the university use diverse mediums – drama, music, film, dance and spoken word – to explore and express emerging interests and ideas.